Finally I'm done with this project. This vector had been unfinished for a year (I think). The reason why I finished this and turned it into a wallpaper is because of Sinever's works. I finally brought back my motivation! 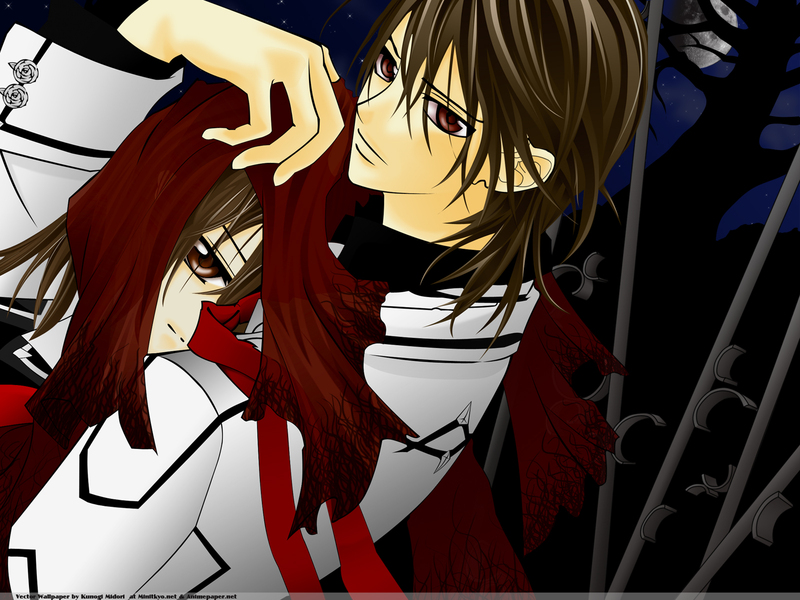 About Kaname & Yuuki vector, I'm quite happy... although I think some parts are disaster. A lot of the parts are my invented lines. I can't blame myself since the original scan was really poor and texts were all over. This is one reason why I stopped working on it last year... I didn't know what to do. Anyway... about the background, since Sinever's vector wallpaper attracted a lot of fans I also made my vector into a wallpaper instead of submitting just the simple vector art. I vectored the gates and the tree were from another VK scan. Overall, I didn't expect it turned out dark. It doesn't suite my outer personality. Comments and constructive criticisms are welcomed. If there's a size you want, don't hesitate to ask although I can only fix it when I'm home so be patient. Thanks for viewing and if you like my work give me a +fave! I edited a lot of the parts. The most noticeable part is the scarf since I received a lot of crits about it. I also added some stars and brighten the moon. I hope this made my vector wall better. Working time: Total Unknown. 3 days from the revival. 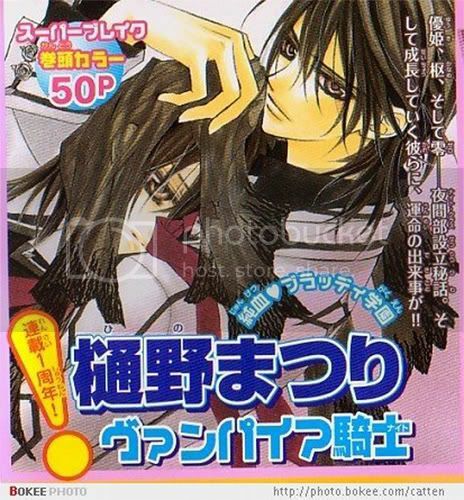 Kaname looks a misteryous KYAAA! 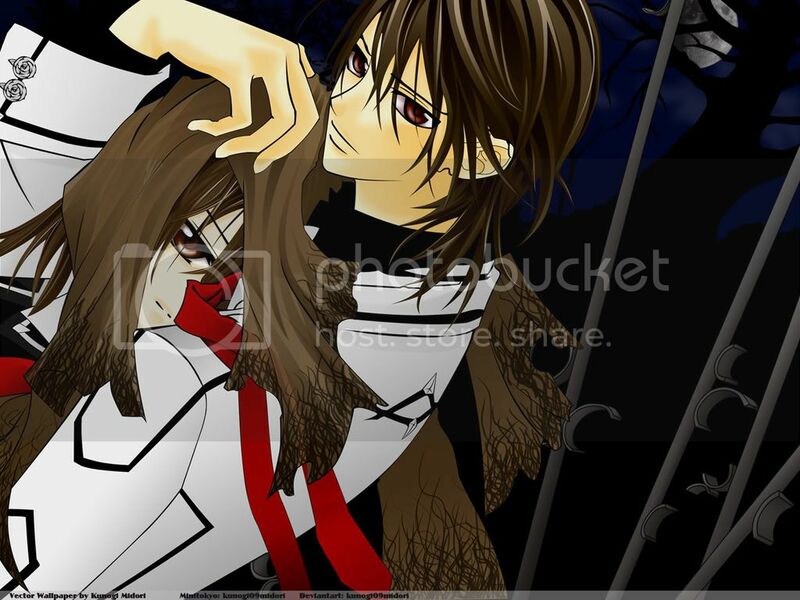 haha Yukis looks a uke! whoah! i didn't notice at first that yuki was there.. YES! KanamexYuuki! Derz only few walliez of KanamexYuuki! I like it and yeah...the stars look nice.I think you've done a great job.